Checklists for nurses? What a concept! No pilot would take off without a pre-flight checklist. Like aviation, nursing has grown too complex to do reliably without cognitive support. On your nursing shift today, you do hundreds of tasks, mostly from memory. 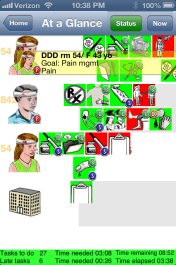 Your EMR reminds you of the things that are ordered but most of what you do is not from orders. That EMR is not nurse-centric. It doesn't know what nurses do. It's time for nursing to be more like piloting. A checklist is not a substitute for critical thinking. The pilot's checklist doesn't teach her to fly but it does make sure she forgets nothing important. 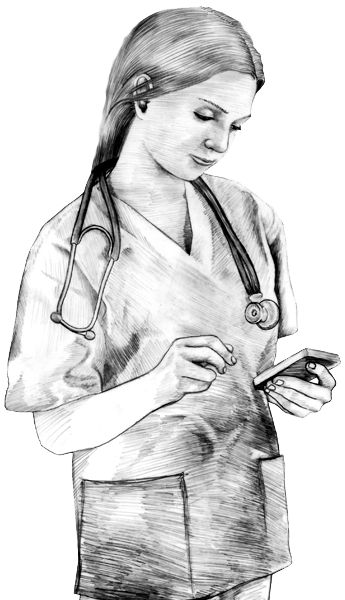 Nursemind builds your checklists. Each task appears as an icon. Late tasks are red. Completed tasks are green. Simple! The result? Less stress and better outcomes. Aviation and nursing are complex. We can tame complexity and work more safely with checklists.